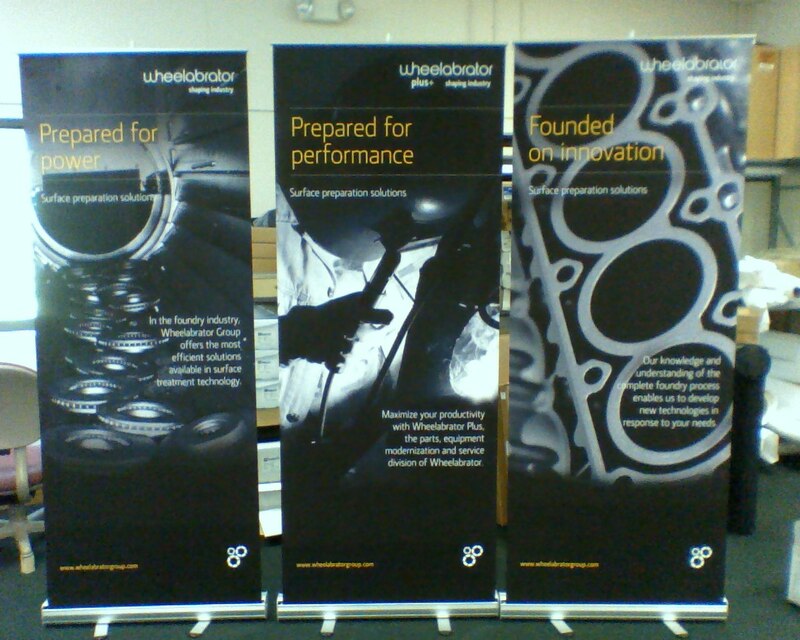 There’s no easier way to do the graphics for a trade show booth than to put three banner stands side by side. You get all the brilliant colors of a pop up trade show booth, but at a fraction of the cost. You can put three of our economy banner stands in your booth for under $700. Not to mention that you can carry them into the show hall under your arm, and put the banner stands up in a jiffy. The other big savings is shipping. Our economy banner stand weighs about 12 lbs, which mean you can ship three of them coast to coast for about $40 of ground shipping cost. Compare that to what it costs to ship a trade show booth around! This entry was posted in Banner Stands and tagged retractable banners, trade show booths, trade show displays. Bookmark the permalink. After looking at a number of the articles on your website, I really like your way of writing a blog.